There are many blogs on the topic of Agile, and there are many blog posts on the topic of SAP Integrated Business Planning (IBP). But not many blogs on the combined topic of Agile IBP Implementation! In this blog I intend to share my thoughts as to how a SAP IBP implementation is suited to an Agile approach. Really suited! In this blog I will walk through the principles of ‘Attribute Transformations’ within SAP Integrated Business Planning (IBP) and discuss the basics of implementing such transformations. We will also look at how some demand planning scenarios like displaying Year -1 data, Realignment (which is not currently offered as standard within SAP IBP), Distribution Centre closures and Product Substitutions can be achieved using Attribute Transformations. For those of you exposed to the full force of SAP marketing for SAP Integrated Business Planning, I’m sure you will have heard the phrase ‘financialising the plan’. But have you ever stopped to think about why this is beneficial and what this means in practice when it comes to implementing it in SAP IBP? As conceived by the Oliver Wight International modern Integrated Business Planning (IBP) means breaking down the functional silos that exist in many enterprises today and truly working together to achieve common objectives. 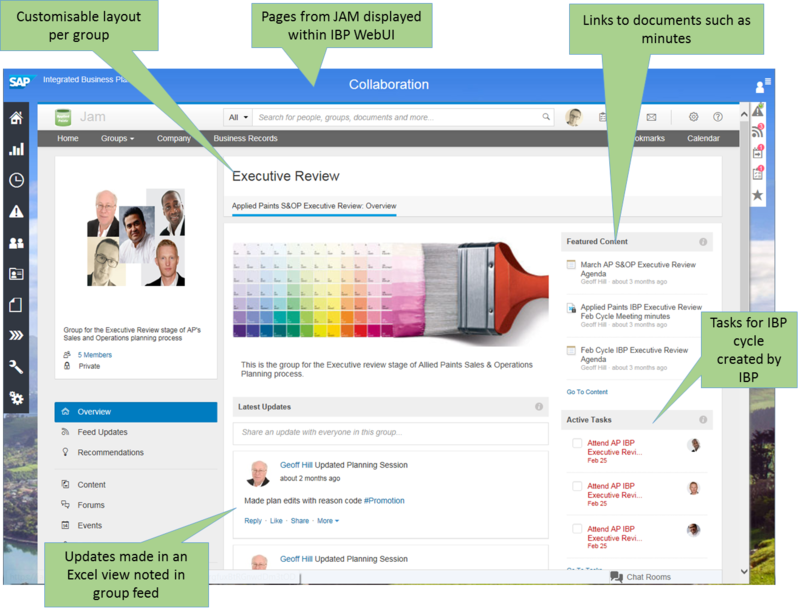 In this article I want to explore why collaborative working is important, the different tools available and the functionality that SAP Integrated Business Planning itself delivers in this area. 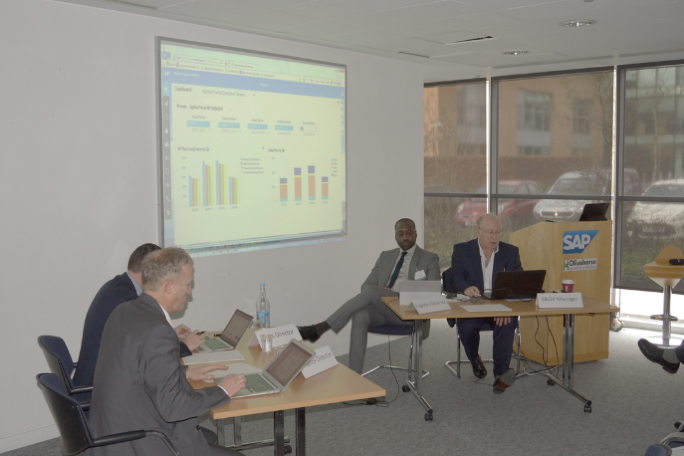 During the SAP SCM (R)evolution, the Olivehorse team reanacted what an "Executive Review of the Future" would look like using SAP Integrated Business Planning for Sales & Operations Planning. 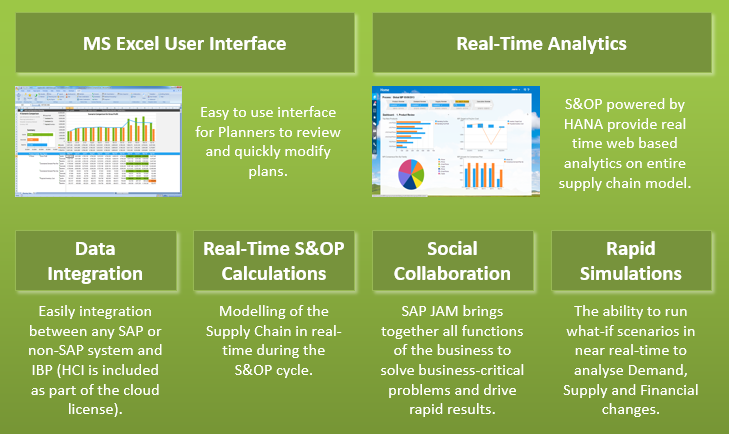 What is SAP IBP Sales and Operations Planning? At Olivehorse we believe there is no replacement for experience when it comes to deploying advanced solutions to meet today’s complex supply chain problems. That is why we focus entirely on SAP and on supply chain. Our senior directors bring on average 15 years experience delivering supply chain performance across multiple sectors. All of our leadership team members have 18+ years’ experience in SAP supply chain solutions. Building on this foundation we continue to expand our team attracting, developing and retaining talented, consultants passionate about delivering practical solutions to supply chain problems. Do you have a passion for providing practical solutions to complex supply chain problems, in a fast-moving, customer-centric environment? If so, we'd love to hear from you as we are always looking to develop our team. Even if our current vacancies do not indicate any suitable roles please contact us to tell us who you are and what you’re looking for.